After stunning everyone with a solid financial quarter, Snapchat has today announced that it has opened up its ‘Lens Studio‘ app to everyone under its on-demand geo-filter program. 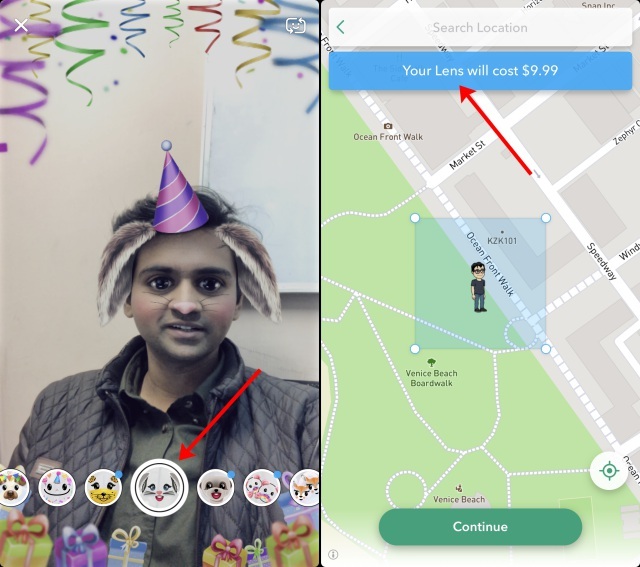 This will allow Snapchat users to create their own occasion-focused AR face masks, which will still be specific to your desired location for a price – more on this caveat later. This means you can jazz up a friend’s wedding anniversary or your kid’s birthday party with a custom lens, be it one of a puppy lens or a bunny with funny voice effects. With the expansion of its Lens Studio, Snapchat is currently offering you a selection of 150 templates (more will be added in the future) that will lay the groundwork for custom lens effects. You can choose lenses for different occasions such as weddings or birthdays. But, it would also come in handy for Valentine’s Day, next week. You can then customize the lenses with text captions, such as “Happy Birthday to [Name]” with a collection of new fonts that have been added. And voila, your lens is pretty much ready to be shared with the world. Now, you just need to shell out $9.99 to make your new face lens live. You can geofence the availability of your lenses, so they will be only visible to people who visit a particular location. And it’s not necessary for you to release your creation at the time of making it; you can choose a date and time for them to start appearing for your friends. This setting allows you to avoid any last-minute hassles as you can create the lens beforehand and have it activate at the time of your gathering. It looks like one would have to pay the fee for each lens created, which could become a very expensive proposition for Snapchat die-hards. The price will increase depending on things like the size of your geofence (ranging from 20,000 to 5 million square feet) and the duration of your custom lens. 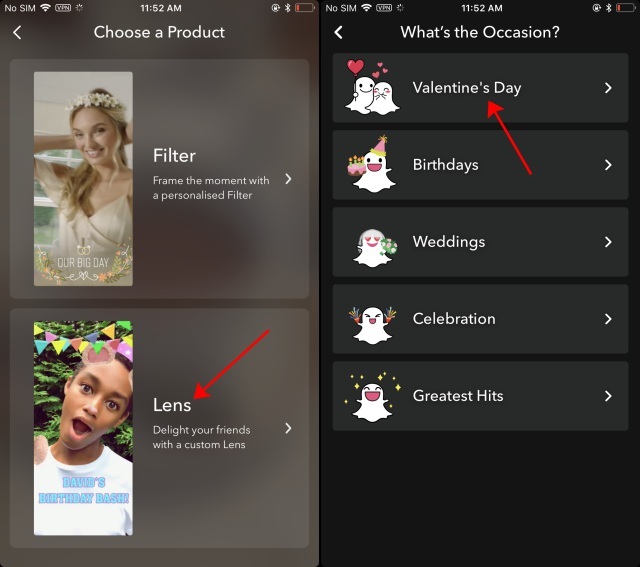 So if you’re excited to try out this feature and design a custom face mask for your birthday next week, then it’s important to know that Lens Studio is only available to Snapchat users in the U.S and face masks can currently be created using an iOS device or the web interface. It is expected that the feature will roll out globally and make its way to Android device in the coming weeks.